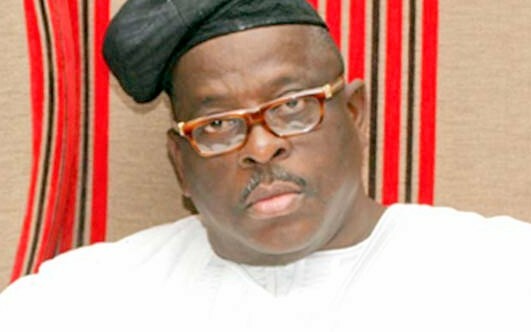 Whoever picks Fayose as a running mate endangers his life, says Buruji Kashamu – Royal Times of Nigeria. Senator representing Ogun East, Buruji Kashamu, has written off the chances that the governor of Ekiti state, Ayodele Fayose, will get near the Presidency in 2019. The lawmaker, was quoted as saying during an interview that no reasonable person would pick Fayose as a running mate. He said, “he is going nowhere. In fact, no reasonable presidential candidate will pick a cantankerous and inordinately ambitious person as his running mate. Any presidential candidate who picks Fayose as his running mate endangers his life should he win. Since he fraudulently took control of the party structure in the South-West, what has he been able to do with it? Nothing! He is fighting the political battle of his life to install another of his stooge as his successor, in the face of stiff opposition from within.